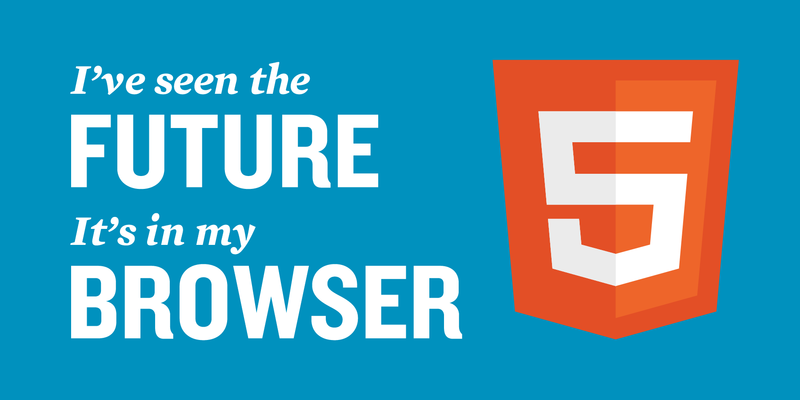 The ability to embed video directly into an HTML5 page is pretty awesome. As a first class citizen in the HTML5 enabled browser, video is no longer an ‘outsider’ and so you can actually do some relatively cool things without any particular effort. Below, I examine five common things that you’d previously have had to solve with a reasonable degree of complexity. Pretty neat, don’t you think? Now, rather than giving up when the .ogg video cannot be played, the player will check to see if .mp4 or .webm videos can first be played, too. So we’ve got our multiple-format player. But can we extend this further so that we can choose different video based on the capabilities of the particular client making the request? The answer is Yes. Let’s take a closer look at the media attribute. The screen keyword tells the HTMl5 video player we’re targeting computer screens, rather than say braille which would target braille feedback devices. Next, we’ve got the boolean operator and which connects the statement on the left with the statement on the right, so that if both conditions are true the statement is satisfied and that will be the source element we use (you could replace and with not or a comma – which signifies the ‘or’ operator). Finally, we have the min-width selector, which could just as easily be max-width or min-height, for example. [There’s a big list of all the currently supported filter values over at w3schools). Using these events, it is possible to hook into the video element to create a very rich, interactive UI that extends out of the video frame itself. This very extensible model gives you a lot of freedom to create!